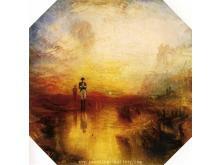 William Turner was born on 23 April 1775, death on 19 December 1851, was an English Romantic painter, printmaker and watercolourist, known for his expressive colourisation, imaginative landscapes and turbulent, often violent marine paintings. 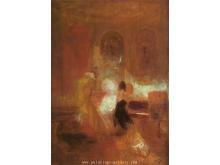 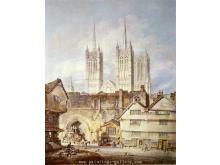 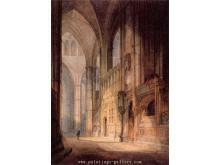 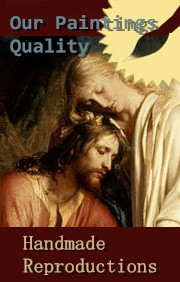 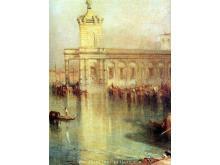 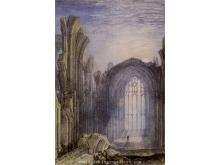 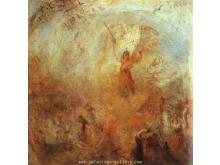 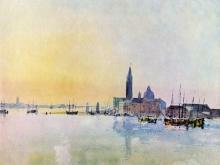 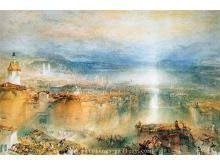 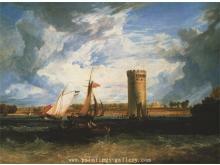 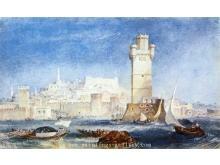 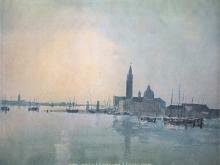 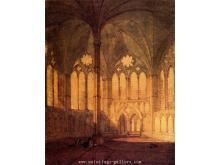 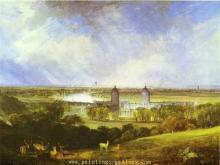 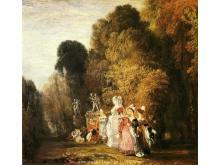 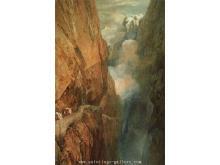 From 1796 Turner exhibited oil paintings as well as watercolours at the Royal Academy. 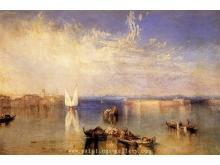 Some of his popular works include "Rain, Steam and Speed," "The Fighting Temeraire," and of course, his inspiration, "The Grand Canal Venice."